The event was attended by young engineers and computer scientists, students, startup members, private and public executives as well as company executives. The administration of HEDNO presented the objectives and the vision of the company for the Innovation Lab, followed by a description of its operation as well as a discussion of the thematic areas and priorities of HEDNO in the context of its digital transformation in the search for new innovative solutions. 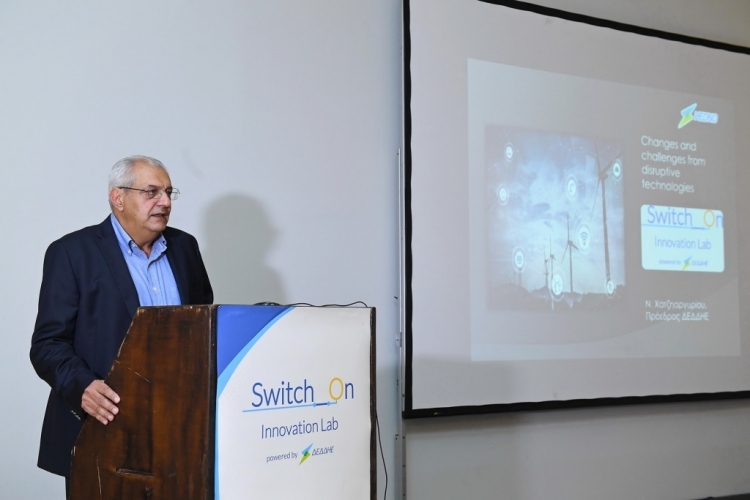 The President of HEDNO and Professor at the Electrical and Computer Engineering Department of the National Technical University of Athens, Nikolaos Hatziargyriou, presented the changes and challenges that emerging technologies bring to the fields of energy and networks. The Innovation Lab aims to develop new and innovative products and services for electricity distribution networks and their implementation in the Greek electricity system, through the collaboration of HEDNO with new startup groups. At the same time, through the process of developing new products and services, new teams of engineers and developers are being strengthened with the goal to evolve their ideas into a functional prototype and continue to commercial development.